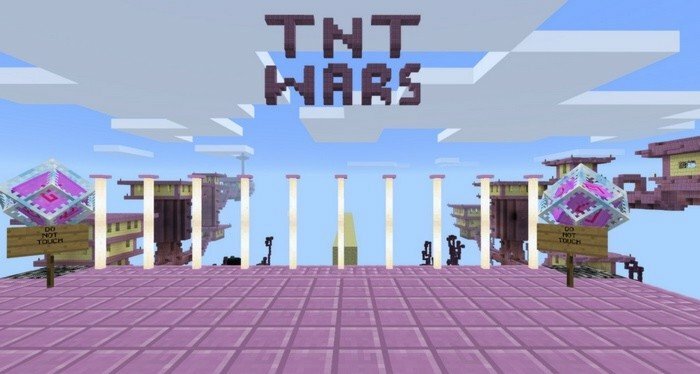 TNT Wars is a fun minigame for Minecraft PE with full of explosive experience - to play with two or more people. 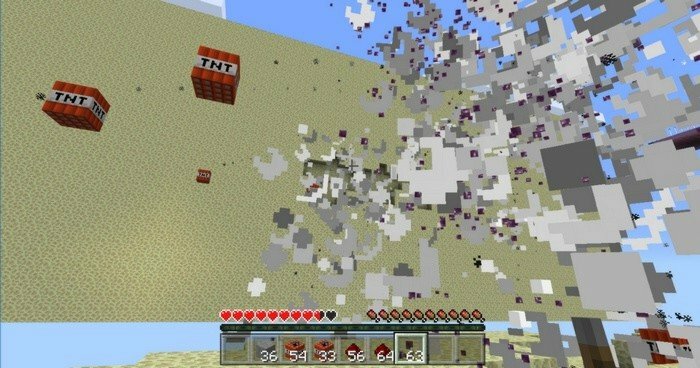 The point of the game is to blow up your opponent on the other side of the field while staying on your side, to accomplish this you will need to build primitive TNT catapult. 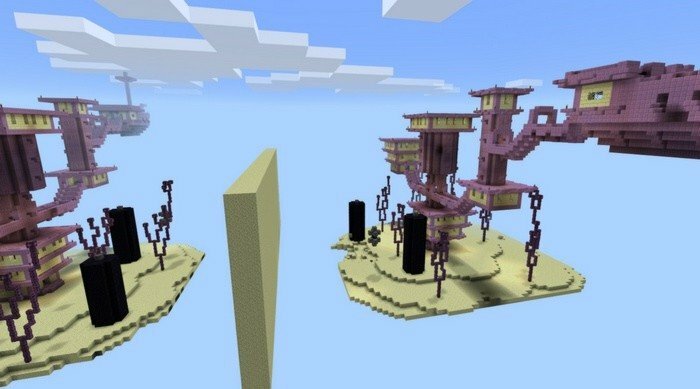 The map was made in style of the End dimension - that's the main difference upon the other ones. I like how the tree-like structure of the Ender city allows to use it in war tactics.